The ability to mass produce books gave birth to the popular novel, the Bronte Sisters, George Sand and perhaps one of the best-loved novelists of all time, Jane Austen. 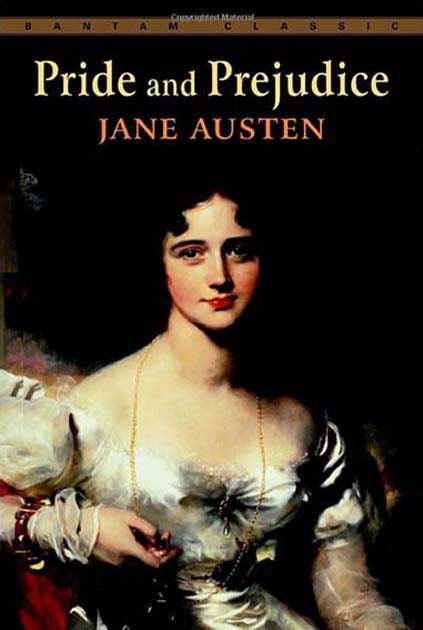 Since Austen’s first book was released over two centuries ago, people have studied her work. We love her books because they’re packed with social humor and memorable characters. They’ve been copied, adapted for media, and countless modern writers have expanded on her universe with new plot twists. For those of you writing in England’s Regency era, Austen might represent the first or only stop you’ll make in vocabulary collection. However, for most of us, no single author (or collection of authors) ever generated enough work to cover all of our needs. In addition, popular novels were written by the privileged classes, for the privileged classes. Today, we can take universal literary for granted in much of the world, but in the past, the best someone from lowest classes could hope for was to make their mark (write their name) and little else. If you want to create a more balanced approach to vocabulary development, you should expand the search to include poets, playwrights, and children’s novelists. Poets push the boundaries of language, pulling from the archaic as well as the newest slang. They understand human nature, they can be bawdy and off-color, or deeply spiritual and romantic. Poets were often interested in the lower classes, and looking for ways to make the people in power see the depravity and poverty that surrounded them. Often these deeper messages are lost on modern readers, so you will need to find annotated versions when possible. Depending on your era, you’re bound to find a few poets tucked away in the history. Poetry collections are often a good place to start. Zero in on a few poets, and let them give you the words to describe what society was feeling. Many authors complain about not knowing how people talked in the past. For the most part, it’s a fair gripe. Studying letters can help, but plays help even more. Plays contain dialogue. We can’t take it for granted the dialogue is 100% accurate, but it can’t hurt to give it a shot. Lucky for us, Wikipedia to the rescue. Check out their List of Playwrights by Nationality and Birthdates, it’s quite impressive. Let’s say you’re writing a novel set in 1850’s Australian, no problem, try playwright Garnet Walch. Playwrights by nature love the spoken word, so look for puns, funny sayings, or for them to use words in non-traditional ways. Last, I recommend you don’t dismiss children’s fiction. Children’s literature is often ripe with what scares society. The 1800s started a boom in children’s books that never abated, and many of history’s leading writers have ventured into the field. Some achieved lasting success only with the children’s fiction. Most people know J. M. Barrie for his “play” Peter Pan. But he was also the foremost playwright of his generation and produced a huge body of important work. Or Frances Hodgson Burnett, best known for The Secret Garden, she also wrote well-respected adult works, as well as plays, and magazines articles. The vocabulary of children’s fiction can be light and playful; and it’s often affectionate and very charming. Remember there are drawbacks to relying exclusively on novels. Balance your vocabulary acquisition by drawing from lots of different sources. And think about what you’re reading. Just because a book is old, doesn’t mean it’s an accurate source. Look for writers who wrote about their own time, and watch for those veiled metaphors. A simple phase could be a surreptitious stab at the government, or a stealthy dig at the social order. The tips I gave you last time for vocabulary collection all apply here. You can access a large body of public domain fiction online, and then use your ereader’s highlight and note functions to make the workload easier.